Some actions in Windows require the logged on account to have certain privileges. A good explanation about these special permissions can be found on MSDN. The privilege assignment can viewed and modified through either Group Policy (on a domain) or the Local Security Policy (secpol.msc). The explorer has a number of privileges, bust most of them are disabled. The SeChangeNotifyPrivilege (which is called "Bypass traverse checking”) is the only one that is enabled by default. All other must be explicitly enabled before actions can be executed which are guarded by the respective privilege. But they also can be disabled for the lifetime of the process. Once turned off, they can’t be turned on again unless the process is restarted. A rather important privilege, at least for WCF hosts and web server is the “Impersonate a client after authentication”. Depending on the account your service and/or program is running, the account may have a number of privileges that are not required by your application or service. Especially since there are very mighty privileges such as the “Debug programs” or “Create global objects”. To comply with a least-privilege account, it is a good practice to turn off unnecessary privileges. This is especially true for services or applications which either utilize addins or exchange data over the network. The InfiniTec.Security.Privilege class contains the internal names of most of the privileges in Windows, and the ReducePrivilegesToMinimum takes a string array as its first parameter, so it is very easy to keep multiple privileges intact. In my first article about custom forms for Outlook WebAccess I wrote about the difficulties that are associated with the development of custom forms. Thanks to a hint from reader Ciusso I was able to come up with another solutions that makes the whole stuff a lot easier. Here is a walkthrough to create custom forms the easy way – with support for standard postback, AJAX… the whole enchilada. As a prerequisite, download the EWS Managed API. 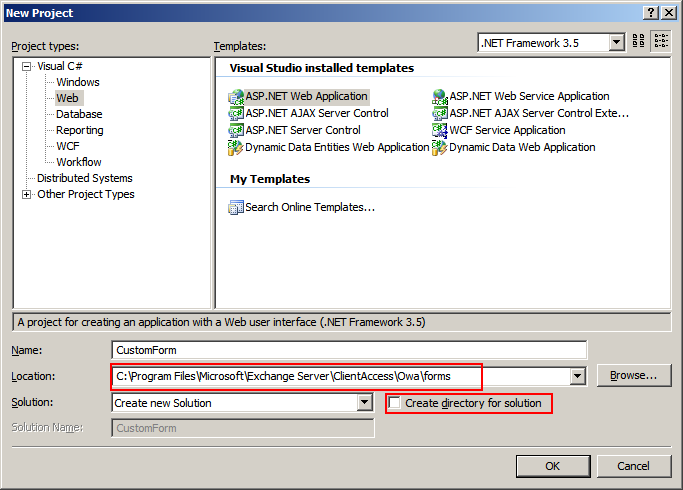 It’s much simpler to use than the Exchange Web Services. First, start with a new WebProject. 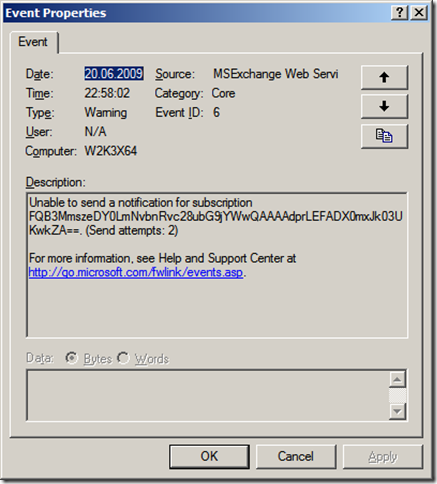 If you are developing directly on an Exchange 2007 server (which is hopefully a test machine and not production – don’t do that! 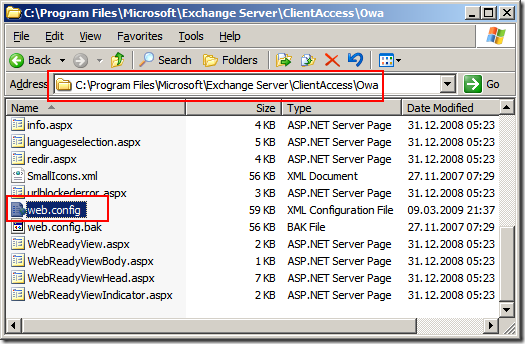 ), the new solution can be created directly under the directory for custom OWA forms: %ProgramFiles%\Microsoft\Exchange Server\ClientAccess\Owa\forms. This simplifies development because no files have to be deployed after each build. When you open the web.config file, you’ll see that Outlook Web Access adds two assemblies, one HTTP module and two HTTP handlers. 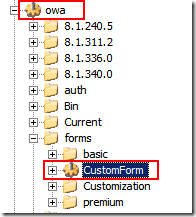 Since the custom form is located beneath the OWA folder, it inherits all its configuration settings from the Outlook Web Access configuration. 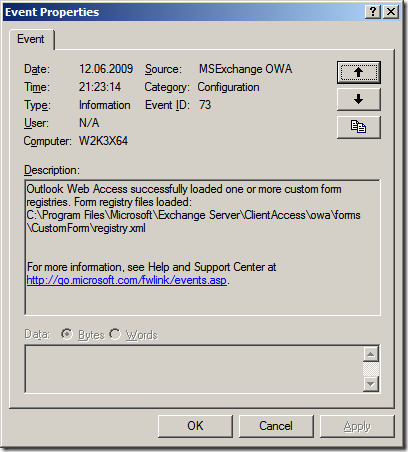 The trick is to remove the artifacts introduced by Outlook Web Access. For the HTTP module and the two HTTP handlers this is an easy task: As shown in the next picture, just add “remove” tags for each artifact. Things get more complicated with the assemblies, however. The two assemblies can not be removed via “remove tags”. It seems to be necessary to clear the entire collection of assemblies with a “clear” tag. But this has a nasty side effect: The assembly of the custom form is also removed and needs to be re-added. 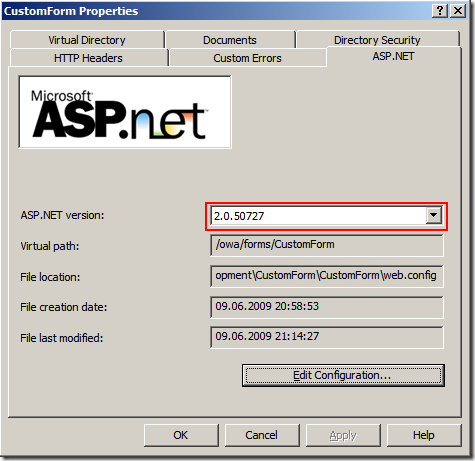 Open the properties of the CustomForm directory configure a Web Applicaton by clicking on the “Create” button. 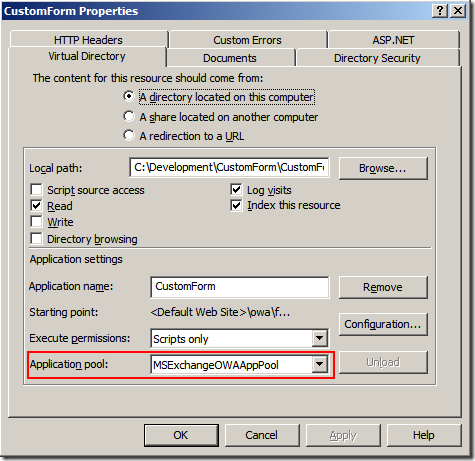 Ensure that the application pool is MSExchangeOWAAppPool. 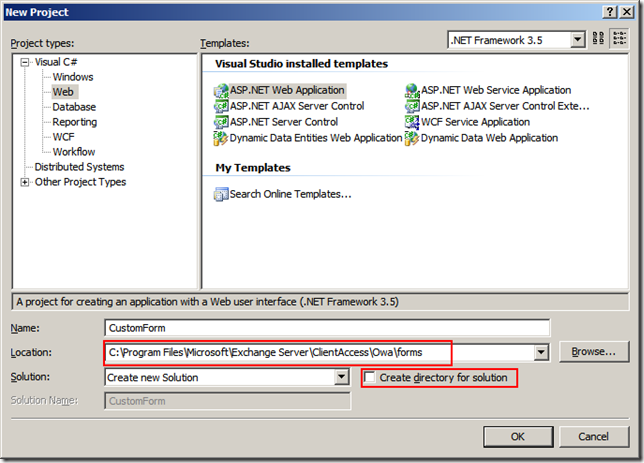 Close the dialog and return to Visual Studio. 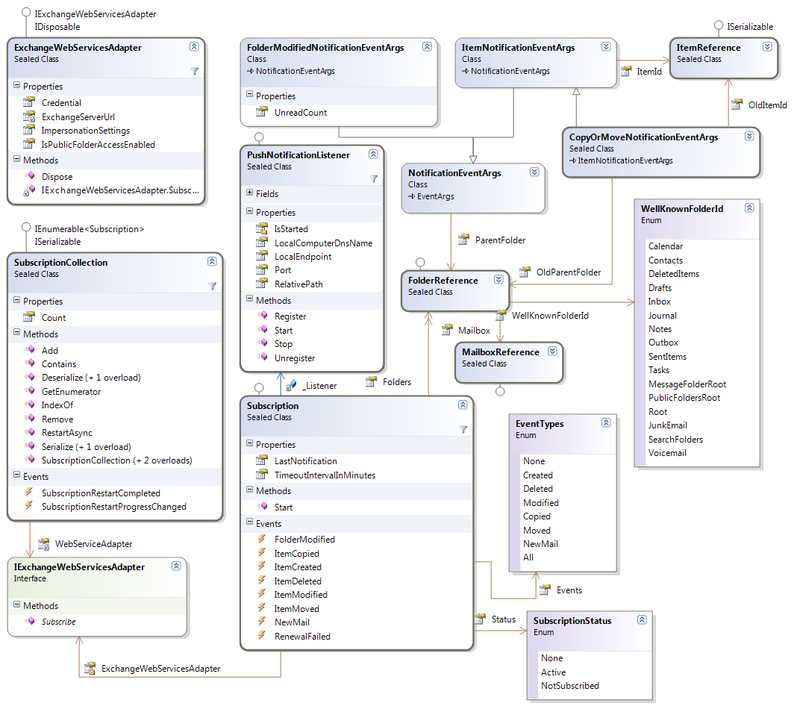 The mapping above is for the message class “IPM.Note.CustomClass”. It seems that it’s necessary to specify a full-qualified name for the address of the formulars – relative path will not work. Now, add a reference to the Managed API and the System.DirectoryServices.AccountManagement. Create a new form named “ViewItem.aspx”. In the static constructor, SSL certificate checking is effectively disabled. Since this example binds to the Exchange Server with the hostname "localhost”, certificate would fail regardless of the certificate used. All the heavy lifting is done in the LoadItems method. In the first line the code impersonates the user logged on to OWA. The next step requires a prerequisite: The website gets the OWA id of the item. 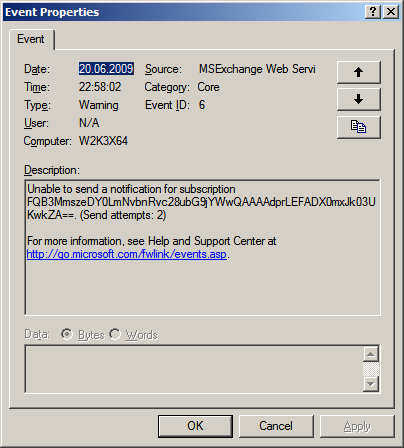 this id cannot directly be used with the Exchange Web Services (or the EWS Managed API, for that matter). The ExchangeService.ConvertIds method is used here. But that method requires the primary email address of the user the OWA id belongs to. For simple environments (read: the mail attribute of the user object in Active Directory contains the primary email address), the method used here can be used. 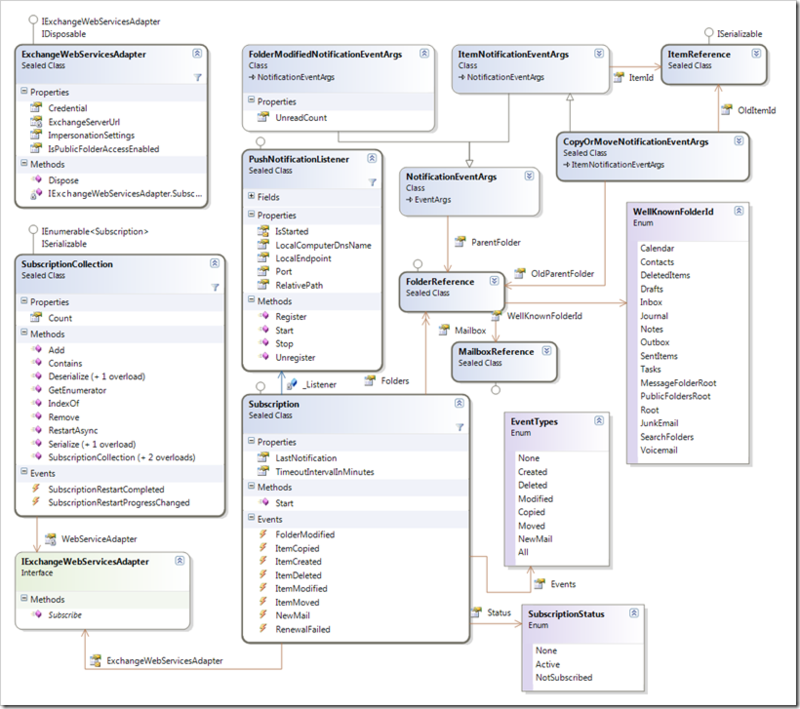 The System.DirectoryServices.AccountManagement.UserPrincipal class was introduced with .NET 3.5 and offers a very simple way to get the required information. After the ID has been converted to an EWS id, the item can finally be loaded from the store. In this example, only the subject of the item is displayed on the form. The form created here will be used to preview every item with the message class of IPM.Post.Custom. The solution containing the relevant files for this example is attached to this post. The file has a digital signature to ensure it’s not modified.